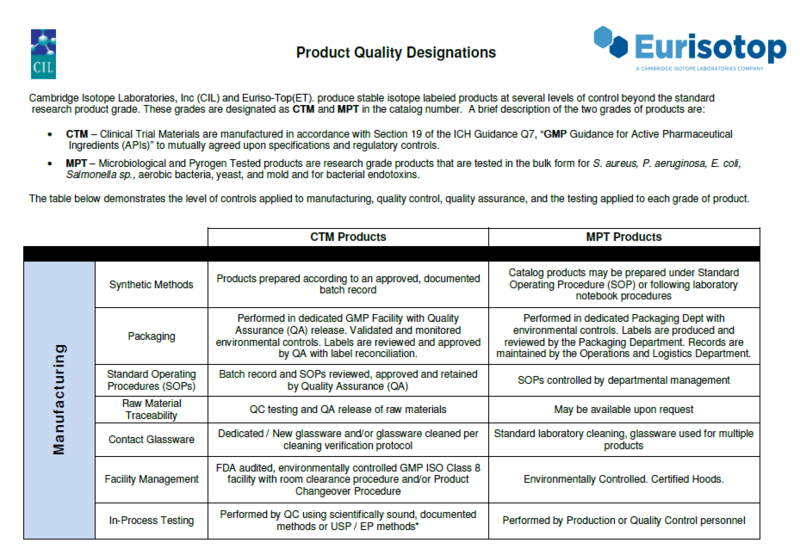 Experiment confident clinical trials with cGMP grade substrates ! For more than 20 years Euriso-top has been manufacturing non-radioactive stable isotope labeled compounds (carbon-13, deuterium, nitrogen-15, oxygen-18). 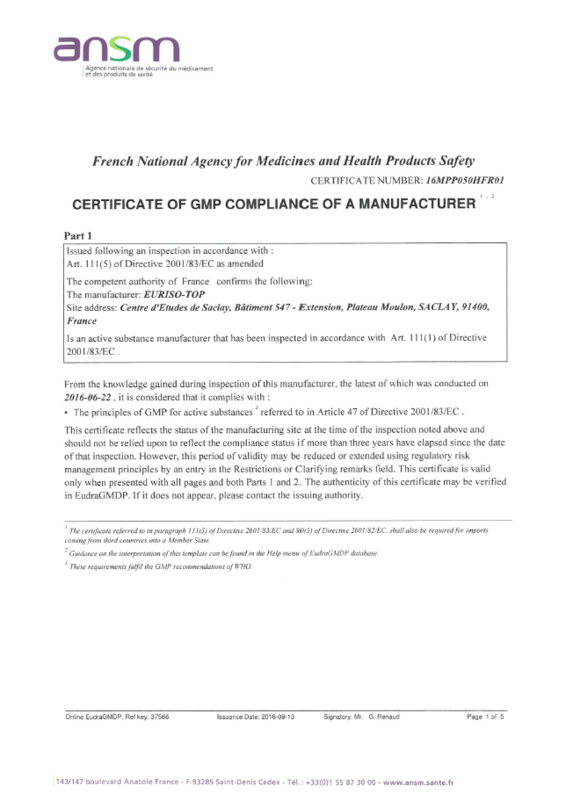 In 2016, the ANSM (French national agency for the safety of medicinal and health products), the competent authority in France, renewed our certificate of Good Manufacturing Practice (EU GMP) compliance as a manufacturer, and extended our certification from one to seven active substances. Euriso-Top has manufactured bulk active pharmaceutical ingredients (APIs) since 1994. It recently added a new facility complex, right in the middle of the CEA Saclay, to complement its existing cGMP facilities. Other assays of the Eur. Ph.